has served as the Delaware Riverkeeper and leader of the Delaware Riverkeeper Network since 1994. 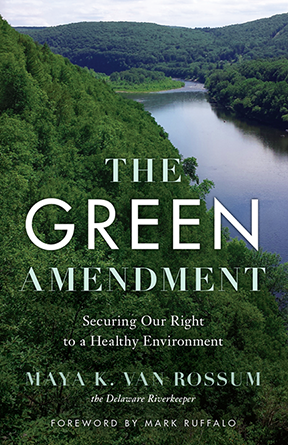 She is the author of The Green Amendment: Securing Our Right to a Healthy Environment and original petitioner and organizer of the Green Amendment Movement. An inspiring new agenda for environmental advocacy, one that will finally empower people, level the playing field, and provide real hope for communities everywhere. We all have the right to pure water, clean air, and a healthy environment. It’s time to claim that right — for our own sake and that of future generations.